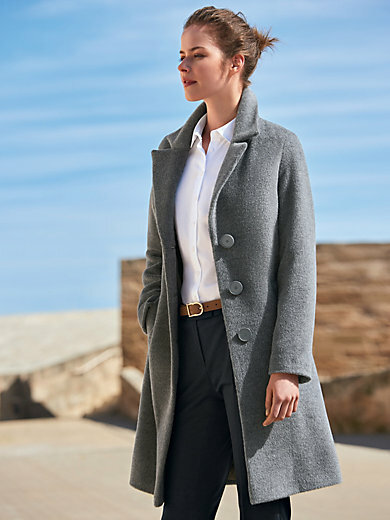 Coat by FUCHS & SCHMITT in an exquisite blend of new milled wool and the finest alpaca. Downy-soft, pleasantly warm and featherlight – perfect for classy looks! This timeless coat with a wide revers collar and large decorative buttons adapts to suit your outfit! Featuring 2 welt pockets. 65% new milled wool, 35% alpaca. Lining in 60% acetate, 40% viscose. Length approx. 98cm/39ins. The coat should be dry cleaned.